Showing results by narrator "Molly Beck"
Success in life is more than having goals and skills. You need connections. And to get connections, you need to reach out - fearlessly, strategically, and every day of the work week. For many, this is a daunting and confusing task. Reach Out shows listeners how to use social media and simple digital tools to begin building and expanding the number of people they know. 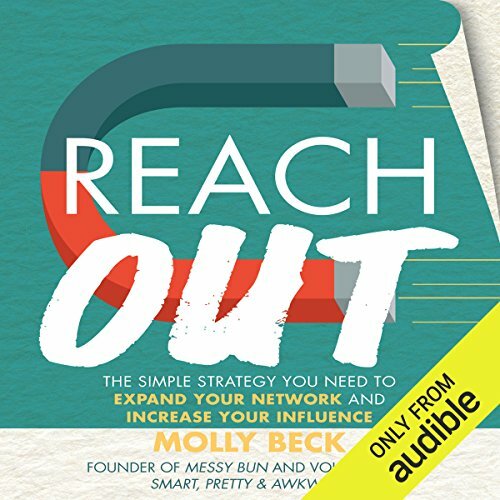 Author Molly Beck explains how to: establish and strengthen your digital presence; develop career goals that reaching out can help you obtain; and much more!